Mayawati said that such incidents had vitiated the atmosphere in the country and the youth were experiencing frustration because of dearth of jobs for the educated ones among the 'sarv samaj'. Attacking the BJP, BSP chief Mayawati alleged Monday that the killing of a Dalit student in Allahabad was the result of narrow and casteist politics of hatred being pursued by the state’s ruling party. “The barbaric murder of a Dalit student in Allahabad is not an isolated case as such incidents are occurring on a regular basis. And no one else but the BJP’s narrow, casteist politics of hatred is responsible for it,” she said in a press release here. 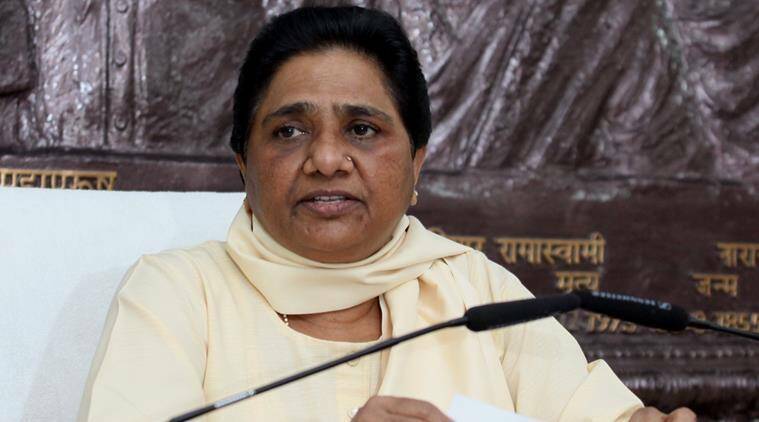 Mayawati said that such incidents had vitiated the atmosphere in the country and the youth were experiencing frustration because of dearth of jobs for the educated ones among the ‘sarv samaj’. There is also an increase in crime, she was quoted as saying by PTI. The BSP chief, who sent her state unit chief Ram Achal Rajbhar to meet the bereaved family in Allahabad, asked the state government to ensure the immediate arrest of the culprits and help to the family. A second year LLB student Dileep, 26, was thrashed by a group on Friday following an altercation outside a restaurant leading to his death two days later. One of the accused was arrested after CCTV footage of the incident went viral on social media.